Here is a cute little thing! 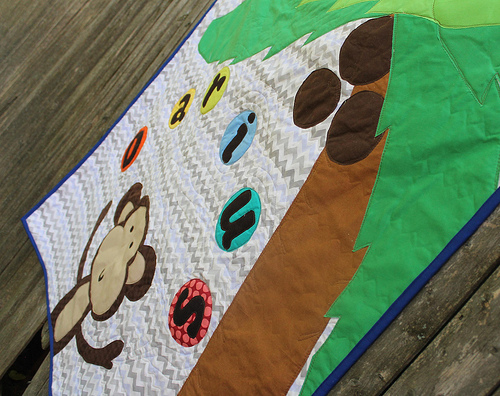 I made this quilt as gift for my sweet nephew – who is about to turn 1! 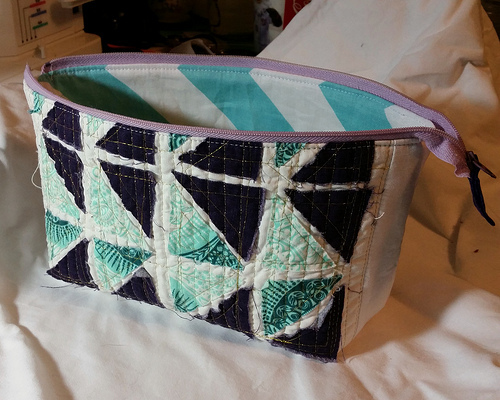 I am entering it into The Sewing Loft Blogs September Sewing Month Gift Category. 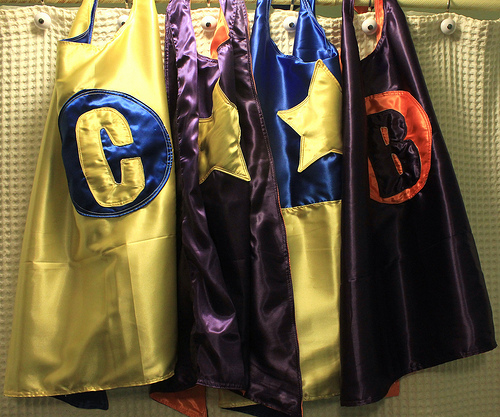 This challenge has been a fun motivation for me to finish up a bunch of projects that have been lingering – I’ve been sick for the last few months, and I really miss sewing! 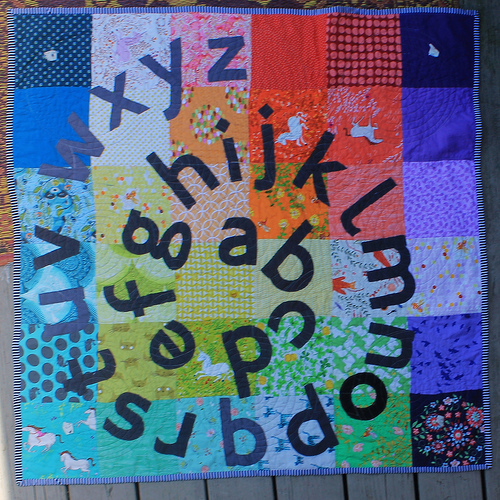 Now that I’m feeling better I am ready to get some quilts out the door! 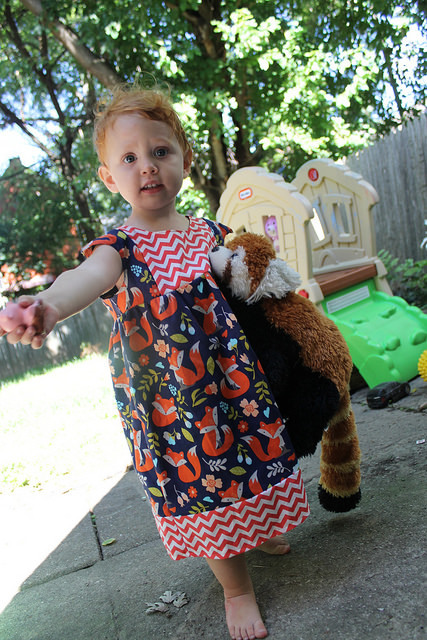 Toddler Party Dresses! 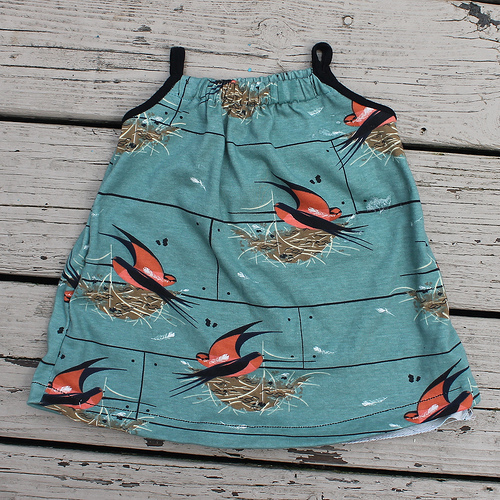 Playgroup, Snapdragon, and Bonny Leggings! 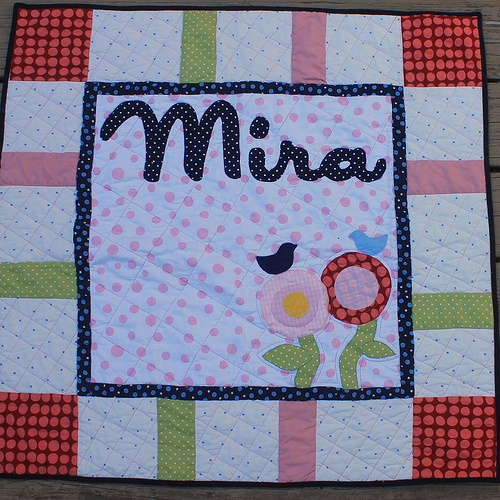 I finished this baby quilt shortly after the baby was born, but never got pictures of it. I used it as a play gym for her until recently, since she is now too grown up for play gyms! I wrote about the play gym process here – it was easy to pull off the arches and transition it into a play mat – perfect for sitting on the front porch and watching the cats. 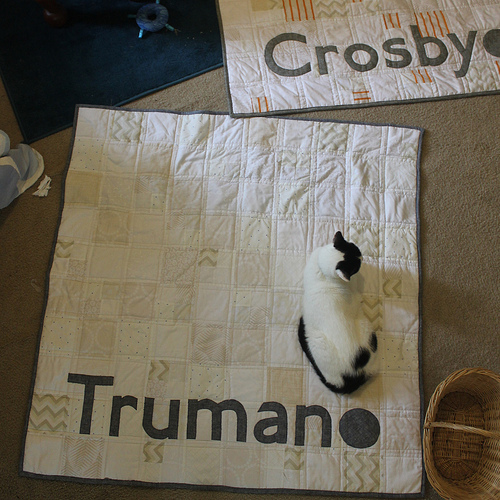 So, I started this quilt a month ago and then the internet erased my post. Dangit, internet. This is a new thing for wordpress to do to me, and I hope it never happens again! Ok, fingers crossed this blog doesn’t disappear on me too! I finished hand-sewing this quilt. 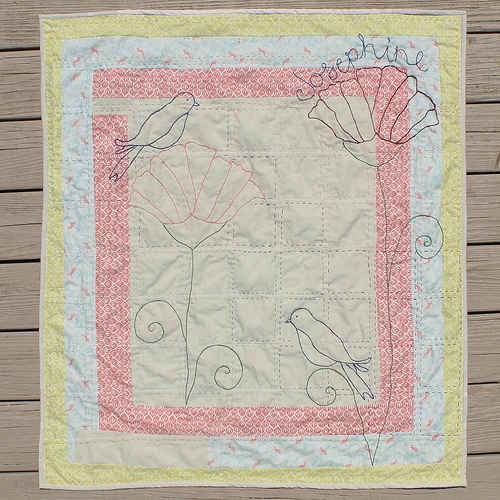 I previously posted about this quilt here and reviewed the Auriful Aurifloss I used to embroider it here.